I have been incubating this post for a while. Whenever I tried to express my feelings about tango in a blog entry, I felt that my descriptions were inadequate. I had to leave Buenos Aires and return in order to distance myself and see the situation clearly. An excerpt from the poem “Diving into the Wreck” by Adrienne Rich. Around three years ago, I learned how to scuba dive. I’m not a natural, and I haven’t returned for a couple of years now. The hardest part about diving was the moment my face and mask went under the water; I had to resist the natural urge to buck against breathing underwater and surface. It’s really a form of meditation to stay under water and reserve the air in the tank. I had to learn how to breath slowly and disassociate my fears from reality. I coaxed my brain into believing that breathing under water was natural. Slowly I pressed the air out of my jacket and descended with my gauge clutched in my left fist, in love with the ocean and deeply terrified all at once. 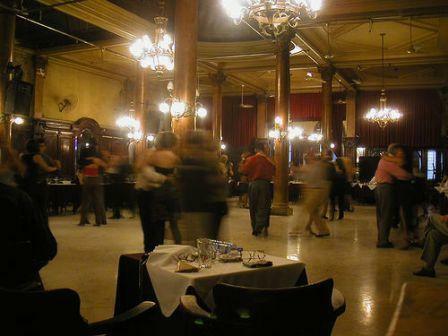 To me, one of the most appealing things about tango is that it is accessible across social levels and includes all types of people, from lawyers to taxi drivers. It’s a working class dance, initially cultivated by mariners and immigrants who missed their homelands and wanted to experience an embrace–to remember loves left behind, lost loves, or the hope of future loves. 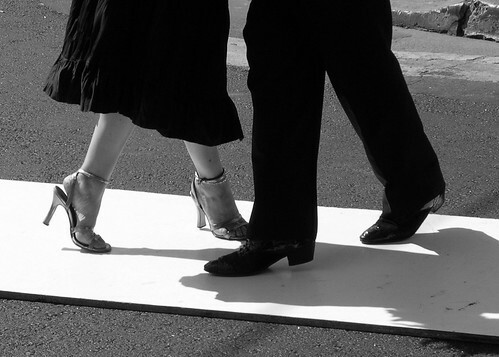 On the dance floor, everyone starts at an even stature until his or her dance skills are displayed. Tango has also taught me more courtesy and empathy. The dance hall can be a community. Hosts regularly greet their guests who come to dance and send them off with hearty goodbyes and kisses on their cheeks. Milongueros greet familiar dancers as they enter the hall. Codigos are set to protect a dancer’s wishes and pride. Regular milongueros greet elderly dancers with the utmost reverence. I am developing my steps, technical abilities, the weight with which to balance my feet, and the way my knees need to brush as I walk. The pleasantries and courtesies have taught me how to be a more thoughtful person as well. Dancing at milongas in Buenos Aires requires knowledge and respect of the codigos that keep the tradition alive and pure. I am at the most beginning level of dancing–just starting lessons here. When I do get on the floor, I plan to use the cabeceo in the hopes of initiating a dance. 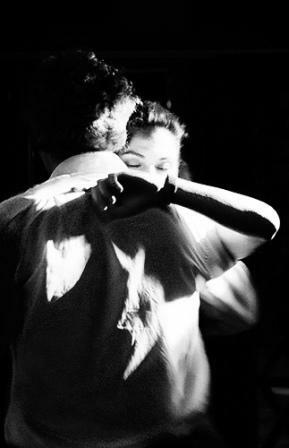 The cabeceo, or the eye contact and nod that tells another dancer you are interested, is the code of tango dancer. It is not only an easy way to initiate a dance, but it is also a way to be considerate of the choice of others. My second tango experience didn’t go quite as smoothly as the first. I still love the dance, but my first rejection on the dance floor smarts. I have to tell you–tango is not easy to wing. While some men may be patient with beginners, most dancers want to dance with a woman of their caliber. I can understand this. I would too. With the right dancer, though, I can usually find the rhythm and improvise a bit, as long as my partner doesn’t try to turn the dance floor into a lesson. At the beginning of this night, I saw a young man at the table next to me raise an eyebrow–an invitation to dance. He looked to be in his early twenties with stiff, gelled hair, a starched lavender shirt, and pungent musk cologne. When he locked me in the tango embrace, I noticed that he had a tight, forceful way of dancing.